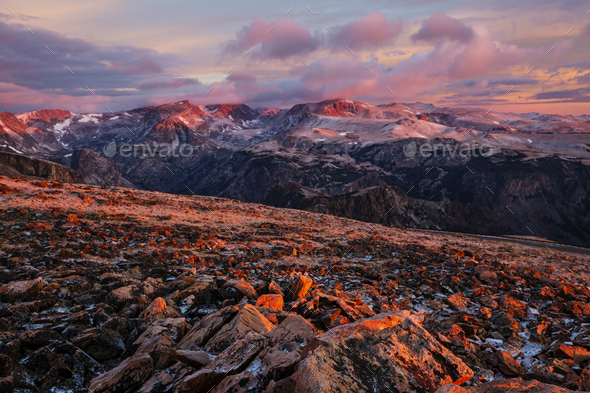 Beautiful landscape of Beartooth Pass. Shoshone National Forest, Wyoming, USA. Sunrise scene.